Welcome! Or Pozdravljeni! You’ll be hearing a lot of that if you decide to move to Slovenia. 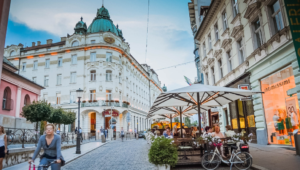 Located in the heart of Central Europe and sharing a border with four different countries (Italy, Croatia, Austria and Hungary), you won’t just be living in one of the most extraordinary places in the world, you’ll also have easy access to other equally fascinating cultures. We did some research to see just what makes Slovenia so attractive for jobseekers and recruiters. For those who don’t need to be convinced that it’s an amazing place to live and find candidates, check out our article on recruiting in Slovenia. Slovenia is a relatively new country. Up until 1991, it was known as Yugoslavia and the territory stretched across Slovenia, Croatia, Serbia, Macedonia, Bosnia-Herzegovina and Montenegro. When the Yugoslavian block broke up into several smaller countries, some of them struggled more than others to stabilise their economy. Among the particularly successful ones, we have Slovenia. In fact, Slovenia was the first country (ever) to transition from borrower status to donor partner at the World Bank. With a little help, it has proven that it is capable of achieving great things. Since 2012, it belongs to the OECD (Organization for Economic Co-operation and Development). Business, commerce and economics are becoming synonymous with Slovenia! 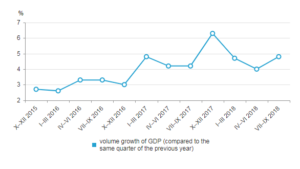 Even the GDP reflects how economically healthy the country has become is such little time, rising every year. In the past, we heard some unfortunate facts about Slovenia, like the high suicide rate or the unfriendliness to people that look different. However, the Slovenian suicides are steadily dropping and have been for the past few years. As for the unfriendliness, the younger generation might be more welcoming purely because they didn’t experience the same oppression. Ultimately, Slovenes are known for their tolerance and open-mindedness, so all they really need is to see more of what they are not used to! 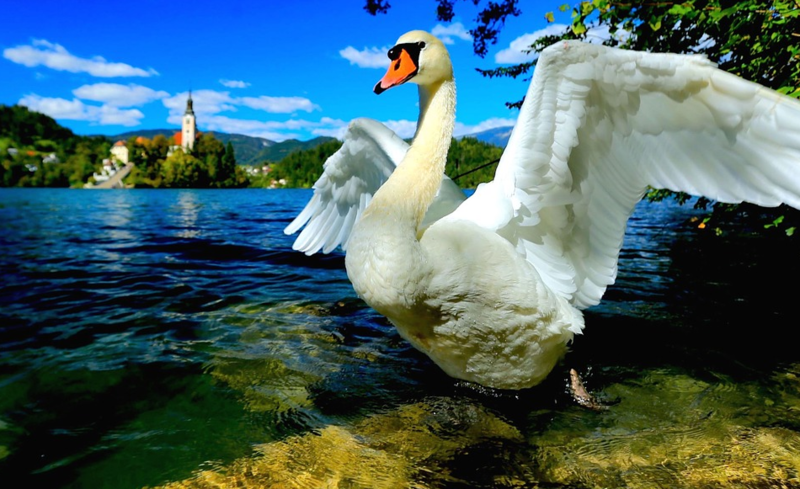 When you think of Slovenia, you think nature, mountains, forests and wide open spaces! It might be a relatively small country (only 20 273 km²) but it is jam packed full of opportunities for adventure. Many of the locals partake in outdoor rock-climbing and hiking regularly. At least half of the country is covered by forests and mountains, which means everyone can find a bit of Slovenia for some alone time, to contemplate the scenery. 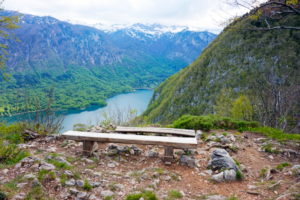 For the more athletic candidates, you have your choice of hiking trails, from the trail to Mount Triglav, which takes you up to the peek of the mountain, to the trail along Lovrenc Lakes. You can challenge yourself and even organize outings with colleagues to encourage bonding. It’s definitely a more original way to get to know your colleagues than by going to the bar. 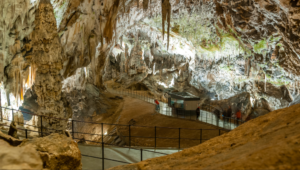 Once you’ve climbed every mountain and dipped your feet in every river, you can explore the Postojna Cave underground. There are indeed layers and layers to Slovenia and one trip just isn’t enough to take it all in. So, why not stay indefinitely? Slovenia is a breathtaking place to live all year round, but it is particularly magical in the winter. 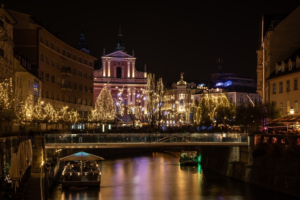 As Christmas approaches, the capital, Ljubljana, turns into a Winter Wonderland for locals and tourists alike (don’t worry if you missed it in December: There’s always 2019). Fairy-tale lands spring up all over the country. Of course, Slovenia doesn’t need Christmas to create fairy-tales; it has its very own fairy-tale island in the middle of Lake Bled. From the shore, you can see the castle hidden behind trees and bushes, and a swan or two floating on the water. Who wouldn’t think of Swan Lake and wonder if one of the swans is really Odette? Fairy-tales aren’t the only kind of stories Slovenes have to tell. There is a long tradition of Slovenian folklore and most of the traditions are associated to the changing seasons. In the spring, the carnival called Pust attracts people from all over the world. It celebrates a mythical creature called the Kurent, who brings fertility and new life to the farmers. The locals dress up as the furry creature and wear masks with horns. As a rule, carnivals mean food! The various carnivals and events are a great way to discover the local cuisine, like the krofi doughnuts. Since most of the events follow the calendar, you’ll just have to stick around to experience them over the year (years?). Calm, humble, adaptable, athletic. These are just some of the words that describe the Slovenes. It’s always a bit confronting to move to a new country because of cultural differences. In Slovenia, tolerance is an important part of dealing with new ideas and new people. For that reason, the Slovenes are great at adapting to the context, which is great for visitors who don’t have to do all the adapting themselves. Even the language isn’t a problem here since most people speak English. Since sports rate very high on the activity list, a lot of talking isn’t necessary anyway. You can share in common interests without saying a word. This too makes the transition from tourist to local much easier for anyone looking to make Slovenia their new home. It’s important to keep in mind that their tolerance and humility should be reciprocated. In a country like Slovenia, showing intolerance or coming across as boastful could cost you friends and career opportunities. You might not even realise it until it’s too late. So be happy and nice. Share the love in Slovenia. When applying for work in Slovenia, the major issue for international candidates is the language. If you don’t speak Slovenian, that’s okay! 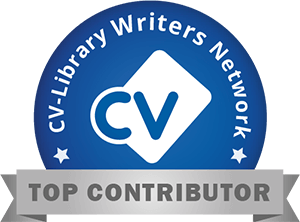 However, you should write your CV in English so that recruiters know what to expect. Most people are bilingual in Slovenia. If you wish to learn Slovenian once in the country, you can check out StudyinSlovenia, which offers various courses in the different dialects. 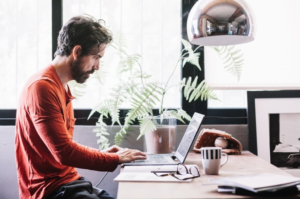 For the more motivated jobseekers, you can even start learning the language right away thanks to Slonline, which has videos and tips you can check out online. In many an article, forum or video, foreigners warn against arriving in Slovenia without already having a job in one’s sights. Luckily, you can check out the top Slovenian job boards on the Jobboard Finder, like MojeDelo and Optius (was MojaZaposlitev) (which was recently renamed Optius). Happy job hunting!